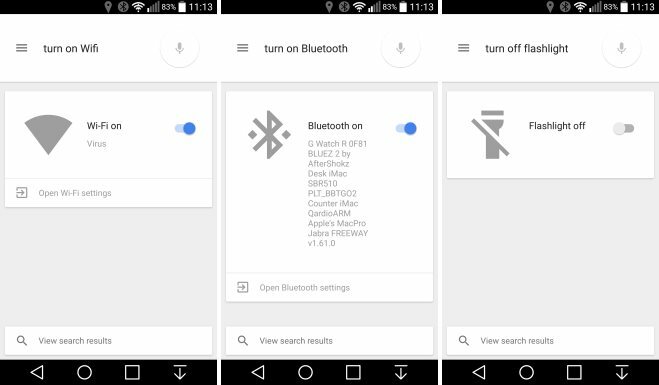 Google Now has learned something new by updating your device to Lollipop: Google now is now able to turn on and off Wi-Fi, Bluetooth and torch through voice commands, but only in English. Only these three function as toggle, while the GPS we see the location on the page. Do note, for other settings like GPS and Airplane Mode, speaking that command will take you to that setting’s hub to control it. No toggle has been placed in the Search results, yet. Following a short video that shows the simple but efficient operation.